After implementation of FDI policy in E Commerce from 1st February there is much hue and cry in e commerce landscape of the Country and Portals like Amazon and Walmart are forced to withdraw products from their portals which obviously establishes that earlier they were indulging in unethical business practices much against the policy. Now it is apprehended that these companies due to their habit will find out ways & means to again circumvent the policy to their advantage and continue their sinister designs to rule e Commerce market. On the other amid reports of Mukesh Ambani shortly launching a e commerce portal , the domestic e Commerce players stands in an advantageous position since FDI restrictions are not applicable on them which means the dirty practices including predatory pricing, deep discounting, exclusivity and loss funding will be adopted by domestic players leaving the intention and restrictions meaningless . Again the traders both offline and online will be the worst sufferers. Realising the situation, the Confederation of All India Traders (CAIT) which is spearheading a national agitation against Global e Commerce players since last more than two years has demanded that restrictions stipulated in FDI policy for e commerce should invariably be imposed on domestic e Commerce players as well to meet the end of justice by creating an even level playing field and fair competition in e-commerce market and to defy any chances of extortion of traders and consumers. The CAIT said that after implementation of policy from 1st February, the e Commerce market has become an open play ground for domestic e com players. 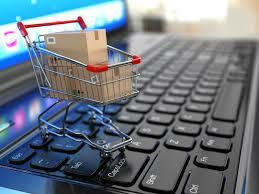 With Mukesh Ambani declaring to enter the e Commerce market, there is already much hustle bustle in e commerce sector. We have seen how telecom sector is shattered in no time by Ambani creating a monopoly. Same thing might happen in e commerce sector as well and there is a long line of biggies to follow Ambani in establishing their e commerce portals to mint the money particularly when there is no policy. The Indian retail Trade Accounts for an annual turnover of more than 42 lakh crores of rupees and biggies will certainly want to capture major stake via e commerce. In the above scenario the CAIT has demanded the Government that in order to preserve sanctity of the policy and to implement the same in its true letter and spirit without any discrimination, the rules enforced on FDI funded e commerce portals should be imposed on domestic e com players immediately without giving any time for manipulations or thinking of circumventing the rules. The principle of natural justice demands the same. Since retail Trade has been now under direct charge of Department for Promotion of Industries and Internal Trade, the Commerce Ministry is competent to make policy without any excuse. Why e-commerce rules should be imposed on domestic players 0 out of 5 based on 0 ratings. 0 user reviews.